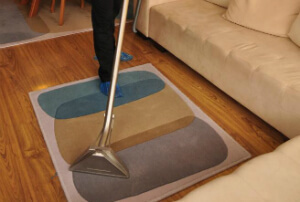 Dry & Steam Rug & Carpet Cleaning Services Croydon CR | Quality Property Care Ltd.
Use this phone number 020 3746 4287 do get to our professional rug cleaning customer support representatives. They are available for your demands! 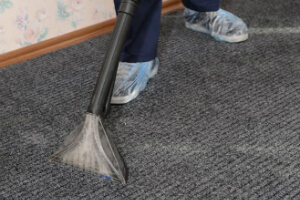 Organise the deep carpet cleaning services right away - it is suitable for domestic and commercial houses as well! Components like silk and cotton rarely take well to heat and moisture, this is why we apply a dry cleaning technique which is a lot more delicate towards organic fibers. Once the stain occurs be sure to act quickly and blot out if it’s a solid one. Remember to use a colourless cloth or a paper hand towel and start from the edges in to prevent the stain from spreading. This way you not only draw out any moisture but also some of the spot with it. If its coloring don’t let it dry or it will be impossible to remove, you need to keep the stain wet for our cleaners to be able to get rid of it completely. Once there they clean the spot with a hoover to remove any solids and draw out as much as possible. Later a fine brush is used to imbed our fine granulated dry cleaning agent into the fabric of the carpet or rug. The detergent binds with the stain taking away any remaining moisture and cutting its bond to the fibers of the spot. To avoid colour bleeding into the fabric we leave the detergent to sit for 12 minutes. Once the time us up the detergent is draw out and along with it all of the dirt it has linked itself to. There are no leftovers as a strong vacuum machine is used to complete the process, leaving nothing behind aside a clean carpet or rug. Meet Quality Property Care Ltd. - the supreme professional rug cleaning company with TEN years of experience in the industry and with various treatments for carpet stain and spot removal. Our reputable carpet cleaning company in Croydon CR has adopted the general standards in carpet and rug hygiene routine maintenance. However, in addition to these, we usually tend to advance and progress. Get in touch with us to make a booking for our carpet cleaning service in Croydon CR now! Don’t lose hope even if your favorite rug has experienced from what seems like a irreversible stain. The cleaners can successfully deal with a huge range of not-so-common and common stains, including: oily stains, wine, paint,, blood, vomit, rust, tea, coffee, moth damage and lots of more. To reserve our professional cleaning service call 020 3746 4287. Our specialist team of customer care agents is available, helping you with the booking or answering any questions you may have. We are available during weekends and bank holidays totally free of additional charge, with same day availability and flexible booking . Be sure to follow our web site and check back regularly as we often have offers and deals which can save you up to 35% on your next deal. Don’t miss a chance to get the best rug & carpet cleaning in Croydon CR at the finest prices in the Greater London region.